Home » Cricket Funda » Information About Cricket In Hind | इस बल्लेबाज को मौका क्यों नहीं मिल रहा है ? Information About Cricket In Hind | इस बल्लेबाज को मौका क्यों नहीं मिल रहा है ? Information About Cricket In Hind | Why is not this batsman getting the chance? It is not easy to make the place in the Indian team right now. Even if it has been selected for the best man, there is a difference in the first 11 days. It's happening these days with the batsmen. This batsman was kept quite in the last 11 in the Indian team. This time, he got an opportunity and he used it well. And redeemed sixes from fast bowlers of the West Indies. Ajinkya Rahane also did not get a place in the first 11 in the 2017 champion trophy. Because then Rohit Sharma was playing. 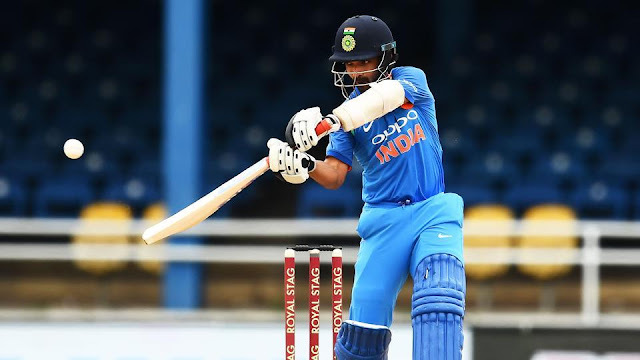 Later, Rohit Sharma needed some rest, so Ajinkya Rahane got the opportunity to do the opening of the West Indies series. Taking advantage of this opportunity, playing a magnificent innings proved himself to be the best batsman. He scored 336 runs in five ODIs against the West Indies at an average of 67.20. Find one hundred and three half-centuries in those five matches. In which 34 fours 3 sixes West Indies series Kohli scored 244 runs in 5 ODIs at 81.33, in which 19 boundaries played 6 sixes.